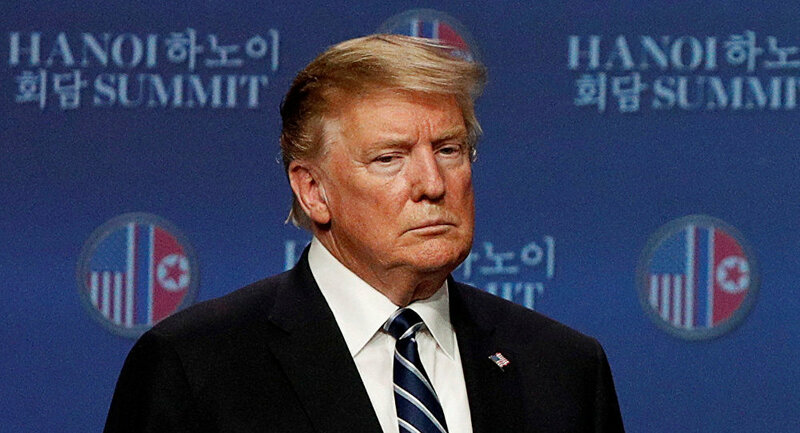 The day before, the US Treasury Department imposed fresh North Korea-related sanctions after Trump walked out of the much-awaited summit with Kim in Hanoi, refusing to lift all non-military punitive measures against Pyongyang. US President Donald Trump withdrew new sanctions against North Korea because of his favourable outlook on North Korean Chairman Kim Jong-un, White House spokeswoman Sarah Huckabee Sanders in a briefing on Friday. "President Trump likes Chairman Kim and he doesn’t think these sanctions will be necessary," Sanders said told reporters. Shortly before that, the US president tweeted that about his order to withdraw the sanctions. "It was announced today by the US Treasury [Department] that additional large scale sanctions would be added to those already existing sanctions on North Korea. I have today ordered the withdrawal of those additional sanctions," Trump said via Twitter. The newly introduced sanctions targeted two Chinese shipping companies, and the move quickly triggered opposition from Beijing, which called it illegal. The Treasury imposed the punitive measures just weeks after the second long-awaited meeting between US President Donald Trump and North Korean leader Kim Jong-un. However, despite the high expectations, the sides failed to reach an agreement on Pyongyang's denuclearisation. The US president refused to lift all non-military sanctions against Pyongyang — a demand by Kim, and walked away from the meeting. According to the US, North Korea vowed to denuclearise some of the areas of the country in return, with no official confirmation following. However, later, addressing journalists after the talks in Vietnam, Trump underlined that he was "open to talking again" to the North Korean leader.